Noni has been used traditionally by Polynesians to alleviate many health complaints and may support general well being. Noni fruit was used in traditional Polynesian medicine for diabetes, high blood pressure, arthritis, poor digestion, bruises, sprains, menstrual cramps, colds and more. Today, many still use and even swear by the Noni fruit. It is reported to have a wide range of benefits including antibacterial, antiviral, antifungal, antitumor, antihelminth, analgesic, hypotensive, anti-inflammatory, and immune enhancing effects. Adults : Take 1~3 capsules daily with meals or as professionally advised. Vitamin E as natural antioxidant 6.5mg. Encapsulating Aids, Colouring. * No artificial preservatives added. No artificial flavouring added except capsule shell. ♦ Product Description Organic Noni Juice 100% Pure 525ml/1 Litre The noni plant or ..
Life Health 100% Organic Noni Juice 750ml!!! 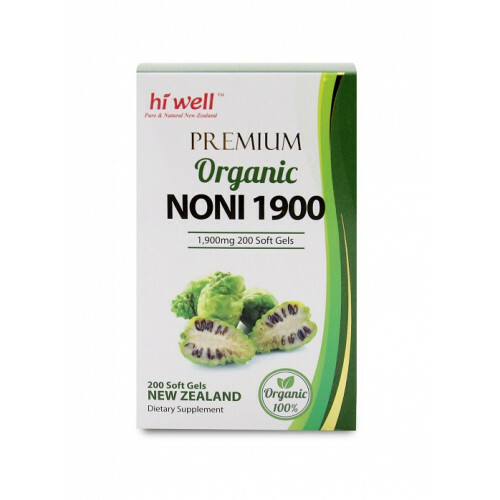 Noni has been used for more than 5000 y..
Hi Well Premium 100% Organic Noni Pure Juice 1 Litre Noni is rich in vitamins C, E, B1, B2, B3, B6,..
Bio-E Lemon + Manuka Juice 500ml!!! Tranditionally fermented juice 20 serves - 500ml A na..
Fatblaster Coconut Detox 2 day plan 750ml is a great program program to help you flush away tox..